PUNE: Blaming China for the ongoing standoff at Doklam, near the Sikkim-Bhutan-Tibet tri-junction, Indian Army Chief General Bipin Rawat on Saturday said the standoff was a consequence of China's attempt to change the "status quo." 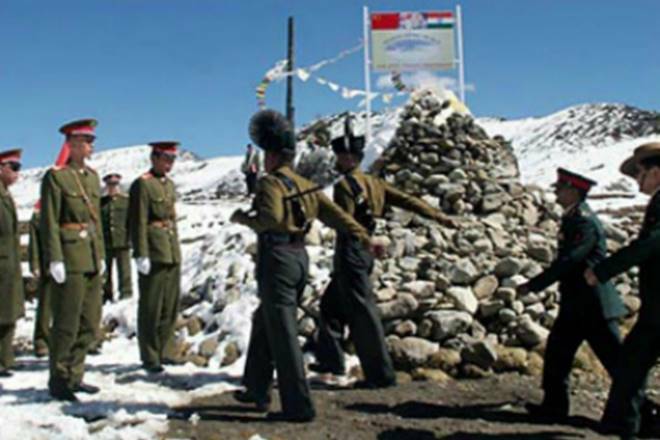 The army chief hinted that there might be more incidents like the Doklam stand-off in the future in other sectors. He asked the troops deployed on the borders to remain alert. "We are having flag meetings with China. During these meetings, we are telling them that we (India and China) should go back to the pre-June 16 position at the Doklam plateau. But we haven't been able to come up with a resolution as there are different perceptions about how it should be done. Hence, it should be dealt with at diplomatic and political levels," Rawat said. General Rawat was in the city to deliver the General B C Joshi Memorial Lecture, titled "India's challenges in the current geo-strategic construct", at the Savitribai Phule Pune University. Army Commander Southern Command Lt Gen P M Hariz, Pune university vice-chancellor Nitin Karmalkar, former Army chief V P Malik, former Air Force chief P V Naik as well as senior serving and retired officers were present on the occasion. Advising the troops to stay prepared and alert on the borders, General Rawat said, "The troops should not be complacent. Let's say, this stand-off gets resolved, but our troops on the border should not feel that it cannot happen again. Such instances are likely to increase in the future. It is better to remain prepared and alert. My message to the troops is to not let down the guard." Commenting on the recent scuffle between the troops of both the countries in the Ladakh region, General Rawat said both the countries had joint mechanism to resolve such issues amicably. "The Line of Actual Control (LAC) has not yet been settled between the two countries, and hence each country has a different perception about it. So, at times, you have a clash as each one tries to patrol the area up to its limits. But these things are normal. Our aim is not to escalate things and get back to normalcy. We are living on the border peacefully," the army chief told the reporters on the sidelines of the lecture. Speaking about China, General Rawat said, Chinese armed forces had made significant progress in capabilities regarding force mobilization, application and sustenance of operations. "This is due to the development of infrastructure of military significance. Their force reorganization, along with developing capabilities in space and network centric warfare, is likely to provide them greater synergy in force application," he said. The army chief said China continues to enhance influence in the regional security environment. "It is doing so by increasing defence/economic partnerships in the neighbourhood, especially in Pakistan, the Maldives, Sri Lanka and Myanmar. The China-Pakistan Economic Corridor passing through Pakistan Occupied Kashmir challenges India's sovereignty," General Rawat said. He expressed concern over the increasing presence of transnational actors in Pakistan with fundamentalist ideologies. "Pakistan's unabated reliance and support to jihadi groups has serious ramifications. This can lead to the possibility of Pakistan being a conduit for eastward spread of fundamentalist and Islamic ideology. This lends a complex dimension to the threat not only for us, but also for other countries of South and East Asia, including China," General Rawat added. The army chief said the Indian army would take all actions necessary to negate, mitigate and destroy elements involved in planning or taking actions inimical to India's security interests.